“Suppose you should apparently stop one or another or even many of your evil ways and habits, you would still remain the same like the babool tree. You must have an entirely new nature, must become a new man, in order to please God. Only Christ can give you a new heart.” The missionary’s reply was sound and scriptural. The message of Christ, His first and only message to sinful man, is his need, not of works, no matter how good they may be, but his need of repentance, and acceptance of the Truth; Jesus Christ. Now, we will take the second part of our trip through the three largest religions in the world, outside of Christianity. Hinduism will be our focus in what is to follow. As we travel through the subcontinent of India, passing over the landscape to gain a sense of its most prominent religion, we will discover that religion without foundation is not a means of transcending this reality in favor of some great spiritual enlightenment, but a means of transcending both reason and revelation. While Hinduism seeks to aide its adherent in transcending this fleshly world in favor of a higher, more complete, spiritual understanding, it does not so much liberate a person from worldly human social and ethical constructs; it enslaves people to vain philosophies, superstition, and baseless beliefs. The age of the Hindu religion is not easy to ascertain. Hinduism arose over a period of several thousand years and is indigenous to the subcontinent of India, with various influences coming into it from outside cultures, helping to shape it. Hinduism, in its present and constantly changing form, evolved, and is evolving from the end of that ancient period right up until today. 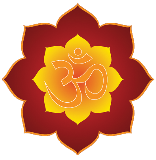 Hinduism has no dogmas, rigid structures, or even a set of commonly held beliefs. It is Foundationless. As a religion Hinduism is largely defined by its practitioners, not by its holy books or by any organized church structures. Rather than calling Hinduism a unified religion, its is much more appropriately to say that Hinduism is a set of religious practices which are connected primarily in that they are practiced by one people group; the variances in religious practice and belief within Hinduism would otherwise easily constitute a collection of many religions. So, I will not here attempt to define the indefinable but rather examine briefly and learn from the central tenants of this ever changing and nonspecific belief system. Hinduism is essentially a collection of cults and religious practices from the various regions of India. The only defining motif is a lack of definition. The only thing that binds this religion together is that each of the various cults who worship its own god, gods, or conception of eternal reality, identify with one another culturally and ethnically and geographically. It is a polytheistic religion, (many gods). There is one predominant theme in Hinduism which pervades much of the variations and practices of the people of the Indian subcontinent. Because it is a polytheistic religion, by definition, their can be no standards. Each cult or regional worship system is regarded as just as valid as any other. The central theme is the idea that man can attain, through various means, a connection with the Brahman. In their system all lesser gods proceed or are born of Brahman; the ultimate reality and the key to cosmic control. In Hinduism the highest state of reality comes when one experiences the state of Moksha, and it is the goal of all Hindus. Moksha is the supreme goal of all Hindus as it is said to be a kind of ultimate “self realization” or god (Brahman) realization where a person loses him or her self as all of their material worldly understanding melts away until all that is left is the complete awareness of being one with the reality of one’s unity with Brahman. The idea is that none of us really exist. All of our self awareness and understanding of our self is illusionary in that we are all expressions of Brahman. Life is seen as the endless cycle of birth and rebirth, known as Samsara where each soul is born and reborn until finally achieving this state of awareness, of Nirvana, and finally being separated from the cycle to enjoy eternal bliss. Brahman and escaping “self awareness” entirely. In this endless cycle of birth and rebirth a soul continues to carry with it the positive and negative “energy” into each existence as each soul works out its Karma in each successive life. In between lives a soul is said to either spend time in a sort of heaven or hell depending on its works in the most previous life. Among the many holy books in Hinduism, the Bhagavad-Gita is perhaps the most important, or at least the best known. In of its pages, it says, 2:22 states, “Just as a man discards worn out clothes and puts on new clothes, the soul discards worn out bodies and wears new ones.” Reincarnation is central to Hinduism. 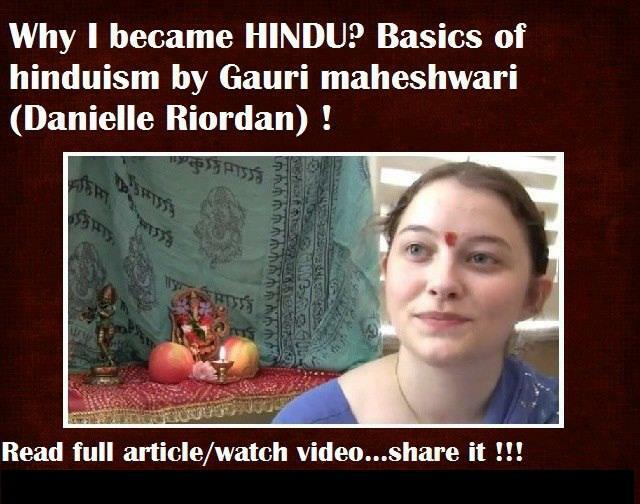 Hinduism is a fascinating set of religious ideas and beliefs, but it is a religion with out any foundation of truth. In Hinduism all truth is relative and unknowable. Hinduism has also given rise to a highly separated caste or class system where the rich and the poor are separated intentionally by these economic divisions. (Robert I. Freidman, “India’s Shame: Sexual Slavery and Political Corruption Are Leading to An AIDS Catastrophe,” The Nation, 8 April 1996) Because Hinduism has no standards of moral or ethical obligations, the faith of the Indian people can not even speak to this catastrophe of human rights. Hinduism says that there is no ultimate source of truth, yet Jesus said, “Jesus replied, “I am the way, and the truth, and the life. No one comes to the Father except through me.” (John 14:6 NET) Jesus gives us a clear picture of truth. He shows us the way of truth, He points us to the ultimate source of truth; the one and only true God. Jesus used the Word of God in His earthly ministry, gave authority to the Apostles to write down His words and His teachings as we have them in the New Testament, and then He not only died for our sin but rose again from the dead that we might know eternal life and … TRUTH. Jesus, in His high priestly prayer, on the eve of the crucifixion prayed to His Father, saying, “Sanctify them by the truth; your word is truth.” (John 17:17 NIV) Truth can be known, Hinduism, in denying the reality of truth denies the reality of Christ. I heard a missionary from India speaking once who said that if you give a Gospel presentation to a room full of Hindus and then ask them “Who wants to receive Christ as Lord and Savior,” every hand in the room will raise. But if you then ask them “who wants to receive Christ as your only Lord and Savior, and Him alone,” far fewer hands will remain raised. You see, in rejecting the very notion of knowable and absolute truth, Christ and His message must be rejected. My fear for the American Church in general, across all denominational lines, is that the very similar lies of the New Age movement, which find their roots in Hinduism and Buddhism, have infected the minds of many well intentioned and well meaning Christians. Being a disciple is about strapping on your sandals, picking up your walking stick, and following after the Master of Mercy, wherever that road leads, no matter how dusty the trail gets, regardless of how callused and worn your hands may become; being a disciple of Christ requires forsaking all other masters to follow after truth. The modern worldview constantly bombards us with the notion that truth is not knowable and that truth is incredibly relative. We hear lies that all roads lead to the same god and to follow Christ does not necessarily entail rejecting false gods. This, however, is not the case. The Gospel is exclusive to other truth claims. The glory of God, the truth, has been expressed in the very Word of God; the Bible. Where Hinduism says that life is an endless cycle of birth and rebirth, truth says that it is appointed unto man once to die and then he is to give an account of sins, but the glory, the truth, is that Christ died for our sins. We are not so much required to account for our sins, because Christ has already accounted for them. What we are to account for is but one thing, what did you do with Christ? What think ye of Christ?” Hinduism fails that test by rejecting truth. What about us? Have we bought into the lie of the modern worldview, the New Age movement which has crept in the back door of the Church, which has borrowed mystic philosophy from Hinduism? Lord, let it be not said of us that in embracing the postmodern philosophy of the relativity of truth, we rejected Christ. Heaven forbid that I should boast in anything less than Christ and His righteousness! O, Lord that we should never trust in man’s philosophy but in God’s truth; in Jesus Christ alone; forsaking all others and traveling the roads of this life, following after the revealed truth; Jesus Christ! All things are not equal. All roads do not lead to the same destination. Our experience bears this out. Who among us would trust our own guesses when traveling on a long road trip of many hundreds of miles rather than trusting a compass and a map? Let us embrace truth.